European firms doing business in Iran could face a more comprehensive sanctions regime than that before the Iran nuclear deal was agreed, experts warn. Those close to the market also don’t expect the EU’s proposed special purpose vehicle to be an effective safeguard against sanctions on non-US trade with Iran. US President Donald Trump today reinstated the last round of sanctions against Iran, which were originally lifted in 2016 as part of the Joint Co-operative Plan of Action (JCPOA), also known as the Iran nuclear deal. The sanctions target Iran’s shipping, energy, financial services and insurance sectors. The US administration has also added more persons and entities to its sanctions list – the List of Specially Designated Nationals (SDN) – including Iran’s central bank and other Iranian financial institutions, a move that will likely force international payments system Swift to cut these banks from its network. 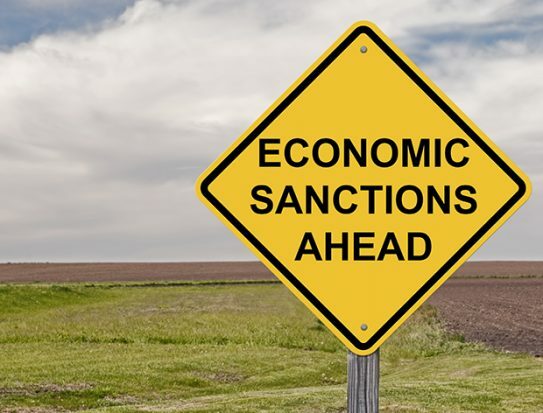 The sanctions come three months after Trump’s first sanctions deadline, which covered sectors such as automotives and precious metals. As such, today sees the end of the official “wind-down period” that firms operating in Iran were given by Trump in May to end their activities or “risk severe consequences”. Firms now risk facing a “more comprehensive sanctions regime” than before the Iran nuclear deal was negotiated, explains Anahita Thoms, who heads Baker McKenzie’s international trade practice in Germany. “What we ask ourselves is, will there be a pre-JCPOA situation or a pre-JCPOA plus situation? It’s still unclear where we are going to end up, but companies have to consider that it can be more than what we had before the JCPOA,” she says. This could include more designations, more sectors being targeted and less general licenses – authorisations to engage in transactions that would otherwise be prohibited – being issued. Her comments are echoed by Leigh Hansson, who heads up Reed Smith’s international trade and national security team. Speaking to GTR, she says that she expects sanctions to be enforced “more robustly now than with prior administrations”. “The Trump administration has made no secret of the fact that it intends to aggressively monitor and enforce the new sanctions,” she says. The move will undoubtedly be felt across Europe: most of Trump’s new sanctions are so-called secondary sanctions, meaning they cover non-US firms dealing with Iran. If an EU firm, for example, is found to breach the sanctions, it itself risks being included on the US’ sanctions list. As a result, non-US companies who operate in the US market or have suppliers there are unlikely to take a gamble by pursuing Iranian business. The EU has made several attempts to counter Trump’s unilateral move. For one, it has amended its so-called ‘blocking statute’ to include the new range of sanctions. The regulation effectively prohibits EU people and entities from complying with the US requirements. However, Thoms explains, this move is more of a political statement than of any help to EU companies, referring to the fact that enforcement of the blocking regulation has been very low across the EU in the past. “I’ve talked to many politicians and people working in ministries about this in various member states, and they all believe that it was more a political signal, rather than a strong tool to protect EU companies. Given the extra-territoriality of the sanctions, the EU had to do something – they couldn’t just accept the unilateral decision by the US and not show any reaction,” she says. Meanwhile, the EU’s high representative for foreign affairs Federica Mogherini announced in September that the EU would launch a special purpose vehicle (SPV) – to “facilitate legitimate financial transactions” between European and Iranian companies. Details so far are sparse on what the SPV will entail, including what legal form and jurisdiction it would be set up in. It is, however, expected to take the form of a barter system to, for example, exchange Iranian oil for European goods without money changing hands. The SPV has also been met with scepticism: experts point to the fact that while it solves the challenge around transferring money to and from Iran, EU firms still risk being penalised by the US for doing business with Iranian counterparties. As such, she concludes, the SPV “is not going to be particularly useful in combating these sanctions”. Thoms emphasises that EU firms will be hesitant to use the SPV for that reason. She says it will likely only be smaller firms with limited US-exposure that will consider using it – not the big oil companies for which, inter alia, the SPV is intended. While the SPV was expected to be launched by today’s deadline, there is no sign that this will happen. The Financial Times today reported EU diplomats as saying that details of the proposal are now being discussed at finance minister level, and that efforts to create the vehicle are making swift progress.